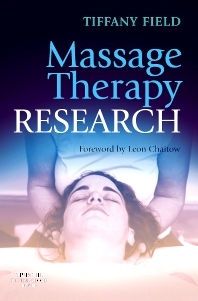 Written by the Director of the world-renowned Touch Research Institutes, this book examines the practical applications of important massage therapy research findings. Each chapter of this comprehensive resource provides a clear and authoritative review of what is reliably known about the effects of touch for a variety of clinical conditions such as depression, pain management, movement problems, and functioning of the immune system. Coverage also includes the benefits of massage to specific populations such as pregnant women, neonates, infants, and adolescents. This book is suitable for massage therapists (including Shiatsu practitioners), aromatherapists, chiropractors, osteopaths, physical therapists, and nurses. Provides a thorough yet concise review of recent research related to the importance of touch. Offers practical guidance to healthcare professionals whose work involves physical contact with patients.